Choosing the right commercial waste company to use for your business can seem like a daunting task. There are plenty of things to check, such as whether they meet current legal regulations, and if they are environmentally conscious. You must also find a partner that will meet all your waste management requirements and perhaps have options available as your business grows and your green policies develop. To help save you time, we found the best waste management companies for your small business. These include CheaperWaste, BusinessWaste and Biffa. CheaperWaste have a good reputation for efficiently arranging the collection of waste in the UK. Their excellent service has resulted in thousands of satisfied and happy customers. They can meet the needs for businesses of all sizes. They work on reducing costs and favour disposal solutions that have a reduced negative impact on the environment. The waste industry professionals have been providing an excellent service since 2011. Their customers enjoy a personable and transparent service that is worked out on a cost per collection basis. They’re the ideal firm to choose for firms with strong green practices or for those looking to become more eco-friendly. Landfill use is reduced thanks to CheaperWaste’s commitment to encouraging separation for recycling purposes. They choose partners who are material recovery specialists, providing dry mixed recycling services along with glass only and cardboard only solutions. If you’re based in the UK you may already be aware of BusinessWaste. This experienced commercial waste company has an excellent reputation for providing legal advice and working with businesses to reduce the impact that their waste has on the environment. They price competitively and have a range of services for safe business waste collection and disposal. BusinessWaste customers enjoy around the clock services. The experts are on hand to provide legal advice and provide solutions to the waste management needs of businesses, regardless of their size. They are focused on reducing customer costs, whist also committing themselves to a zero waste to landfill policy. All this is achieved with excellent customer service. A sample of their most popular services include the free audit, regular collections and the provision of a dedicated account manager. All types of industries and waste are catered for, so they’re a great choice whether you have washroom waste, radioactive waste, or anything in between. Biffa are happy to work with small, medium and large businesses throughout the UK. They will adapt their services to suit the needs of your company, and advise you on how to reduce the amount of waste your business is generating. Customers choose Biffa because they have excellent online account management facilities. This online management makes it possible to order and track the services you use. Viewing and paying bills is easy and you’re able to keep excellent documentation for your legal compliance. Many firms also choose Biffa because they provide multi-site management services. They are fully compliant with legal and environmental legislation, so businesses can rest assured that their waste is being taken care of in the appropriate manner. Furthermore, Biffa are well-known for their award-winning customer services. They use a UK-based call centre and have a full team of advisors on hand. Select Environmental Services has a wide range of bespoke business waste services available. The independent waste management firm provides flexible solutions for businesses looking to take control of their environmental goals. The services they provide are available in Oxford, Berkshire and North Hampshire. Recycling is provided along with hazardous waste disposal, clinical waste disposal and confidential waste disposal. Confidential waste disposal includes services such as secure on-site shredding, IT equipment destruction and product destruction. Customers also benefit from the creation of personal environmental reports. The reports show how the business is performing and provide an easy way of assessing their environmental impact. Furthermore, Select Environment Services encourage businesses to set their standards high by working towards zero landfill waste. Their aim of zero waste is a huge plus for earth-lovers! 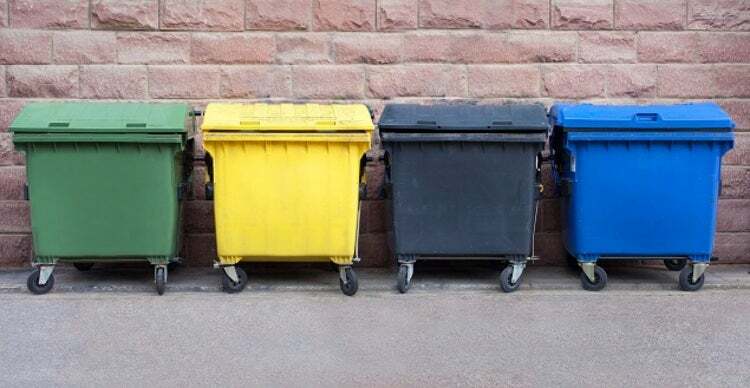 When deciding on the best waste management company to choose for your business, it’s vital to read reviews and do your research. The companies need to have the correct licenses and credentials. Check the firm is registered on the Environmental Agency’s Public Register and ask to see proof of their credentials. Make use of audits and decide on the services you need to improve your waste management. Focus on reducing your impact on the environment and reducing overall costs. Set realistic targets and select services that are flexible and that will assist you in achieving your goals. One important factor to consider is customer service. You want to work with a waste management provider that is available when you need them. Their offerings need to be matched by their customer service team offering advice and support. Whilst it’s easy to be attracted to the lowest price, remember that money isn’t everything. Choose a waste management provider with a strong history of expertise. They will provide you with a cost effective and efficient service without cutting corners to save a few pounds. A reliable service with a dedicated account manager is worth paying a little extra for. 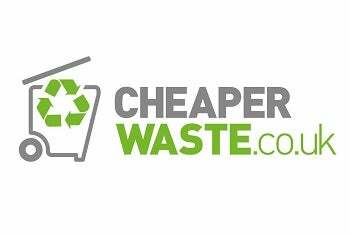 Expert Market has partnered with leading UK waste management services to save you time and money. To get a free tailored quote for your commercial waste disposal, just fill in the form at the top of this page.